What is a chair? A chair is something to sit on! Chairs come in many shapes, sizes, and types. We have chairs for school, dining, transportation, watching television, playing video games, working and more. Not all societies find chairs as essential as western culture. Many societies just squat, lean or sit on the floor. Chairs throughout history have had various social and symbolic meanings. 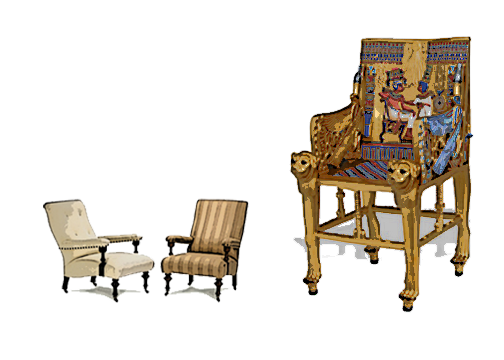 From the Egyptians we know of two basic types: chairs for recumbent ease and chairs for upright alertness. Pharaohs had great thrones with straight backs, requiring upright posture and a straight spine. 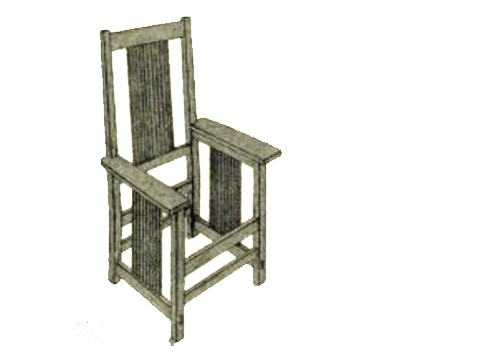 Greek civilization introduced a chair in which a person leaned back while sitting, called a klismos. Romans used bed-like chairs to recline on pillows to dine. In medieval times, people usually squatted or sat on the floor. Furniture was heavy so that it could not be easily stolen or foldable so it could be stored against a wall. In pre-industrial London, furniture served many functions due to crowded conditions. A table or piano might double as a bed! 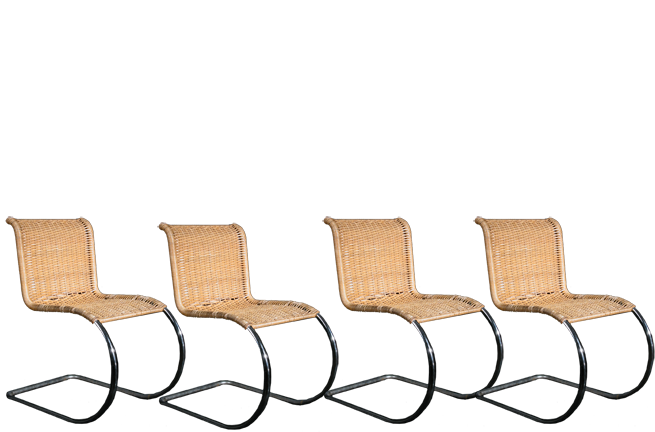 During the industrial revolution, many more chairs and chair types were designed, producing some of the most comfortable chairs that the world has ever had. 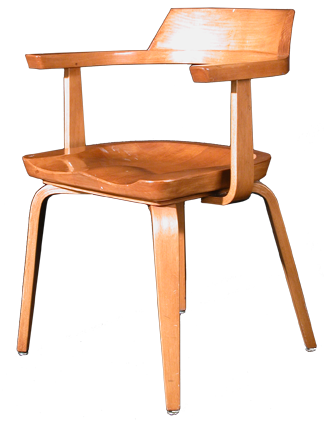 In the early 20th century, modernists began to design chairs as sculptural objects. Chairs are everywhere! Choose your seat! Count the chairs in your house, your classroom and your community. How many places do you have to sit? Draw or photograph your chair types around you and make a chart showing how many chairs you have. Make one chart for your home, one for your classroom and one for your community. Do you think you have enough places to sit in each of these areas? Why or why not? Activity 2 – When did we start sitting in chairs? Research and create a timeline depicting the history of chairs. Try to find an example of a chair from each century. 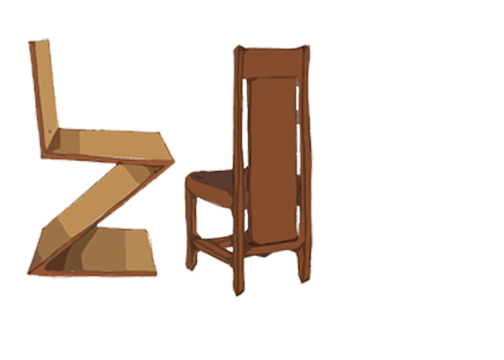 Label the century of the chair and determine if it was a seat of power, a seat for show, a seat of comfort, or a seat for functional purposes. Take photos of chairs or find them on the internet. Search for different types, such as chairs for dining, reading, playing video games, waiting, or working. Do these chairs seem to imitate the Egyptian throne type or the klismos type? Are the designs based more on human comfort, aesthetics, function or are they used for something else? Would most cultures find this chair type useful or is it limited to a certain culture? Now that you are more aware of chairs, investigate chairs that are specifically designed for people at different stages of their life. What chairs are used for babies? Think about high chairs or bouncy seats. What chairs are used for teenagers? Think about bean bags! What chairs are used for the elderly? Think about chairs with arms or wheelchairs. Note that chair types that are specific to different ages accommodate children, young people and older people in different ways. This is called adaptation and accommodation. Draw a chair for each age group and label the points that adapt or accommodate. Design of chairs responds to human needs in addition to changes in material technologies. 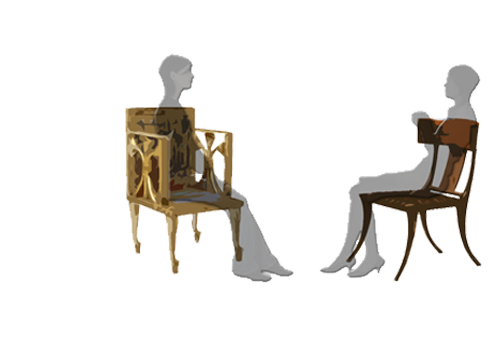 Research and create a timeline depicting the history of chairs over the last century. Select chairs that you think represent a new idea or new way of using chairs. Sketch the chair. Label its designer or place of origin and the year it was introduced. If possible, label the materials used to make the chair. Activity 6 – Sitting vs. Standing up and moving! While all of us spend time each day, those of use who work at desks and sit for hours a day are finding that sitting isn’t always healthy. Take a look at [Why sitting is bad for you[http://ed.ted.com/lessons/why-sitting-is-bad-for-you-murat-dalkilinc) and start a daily log of how many minutes and hours you sit a day. If you feel you are active and moving more than you are sitting, find someone who is sitting more than moving. Make a chart for them. Compare the two charts and get the sitting person in motion! List five activities you normally do while sitting in a chair but can do while sitting on something else. What is the proper name for an ancient Greek recliner? Why were medieval chairs large and heavy? Name five different types of chairs you have at home. TEDed Why Sitting is Bad For You?